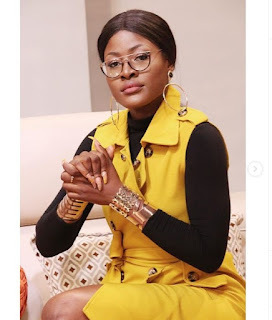 Former big brother Naija housemate, Alex Unusual has taken to Twitter to recount her experience with a young man who walked up to her for help while she was grocery shopping. 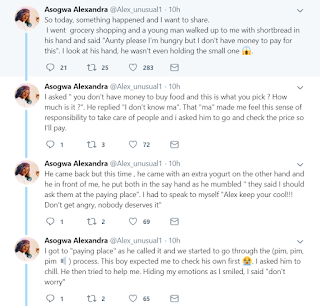 "So today, something happened and I want to share. I went grocery shopping and a young man walked up to me with shortbread in his hand and said "Aunty please I'm hungry but I don't have money to pay for this". I look at his hand, he wasn't even holding the small one �. I asked " you don't have money to buy food and this is what you pick ? How much is it ?". He replied "I don't know ma". That "ma" made me feel this sense of responsibility to take care of people and i asked him to go and check the price so I'll pay. 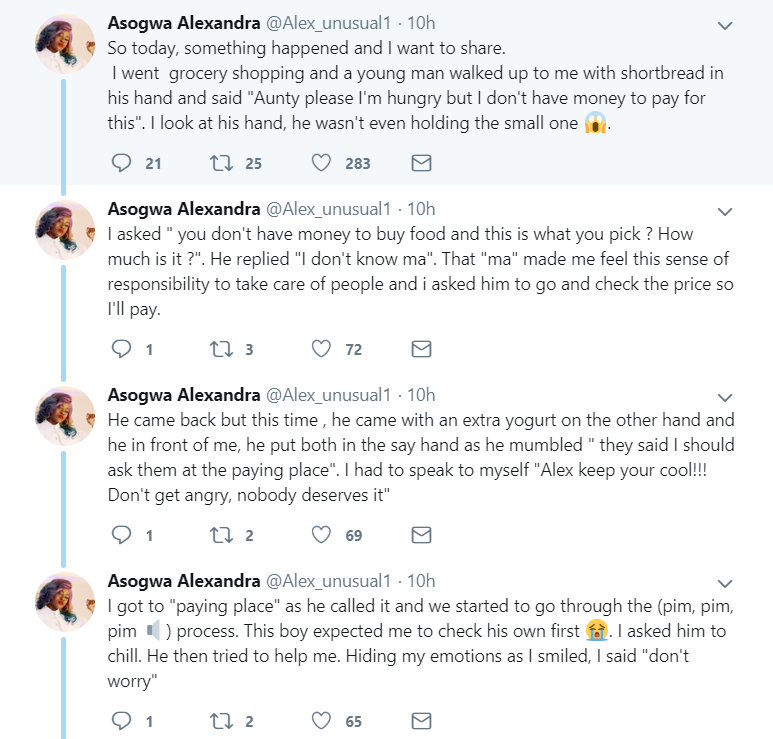 He came back but this time , he came with an extra yogurt on the other hand and he in front of me, he put both in the say hand as he mumbled " they said I should ask them at the paying place". I had to speak to myself "Alex keep your cool!!! Don't get angry, nobody deserves it"
I got to "paying place" as he called it and we started to go through the (pim, pim, pim �) process. This boy expected me to check his own first �. I asked him to chill. He then tried to help me. Hiding my emotions as I smiled, I said "don't worry"
I was contemplating. �Should I teach him a lesson or not ?. 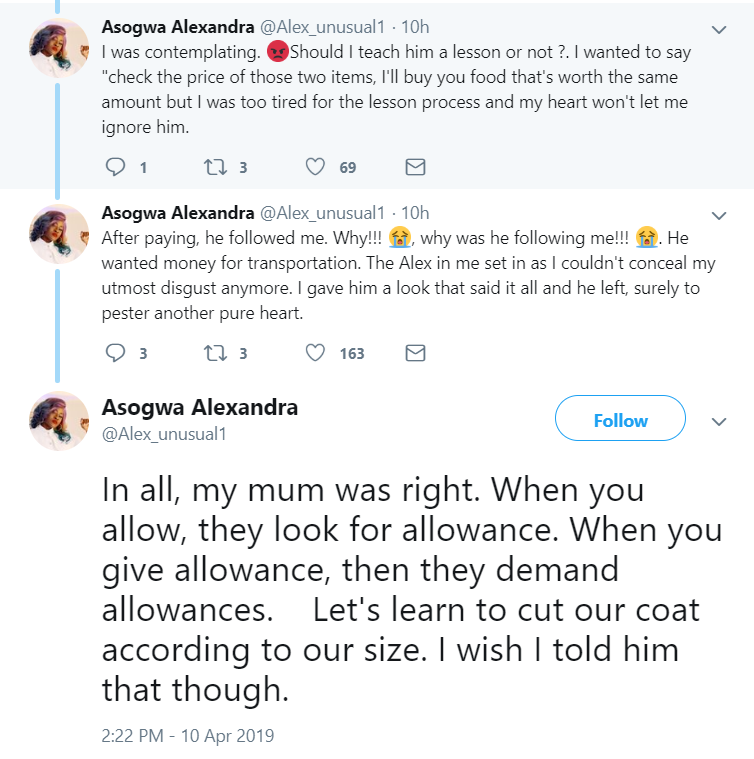 I wanted to say "check the price of those two items, I'll buy you food that's worth the same amount but I was too tired for the lesson process and my heart won't let me ignore him. After paying, he followed me. Why!!! �, why was he following me!!! �. He wanted money for transportation. The Alex in me set in as I couldn't conceal my utmost disgust anymore. I gave him a look that said it all and he left, surely to pester another pure heart. In all, my mum was right. 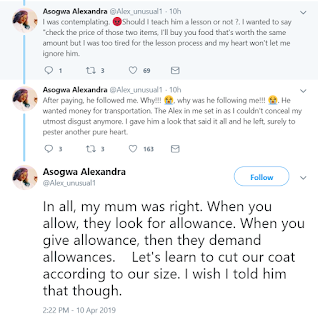 When you allow, they look for allowance. When you give allowance, then they demand allowances. Let's learn to cut our coat according to our size. I wish I told him that though."